28555 Rollins Lake Road, Colfax, CA. 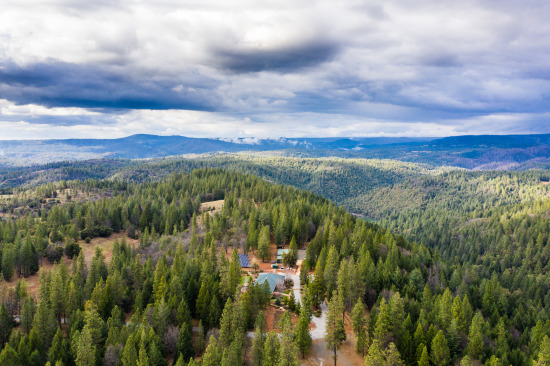 Incredible 124-acre equestrian estate located in a serene natural setting in Sierra Foothills. This one-of-a-kind property offers luxury, privacy, security, and space. 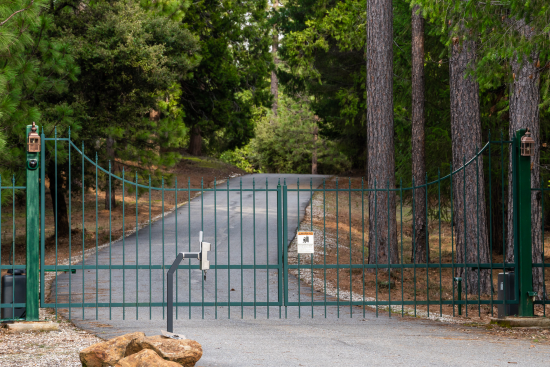 From the gated entrance, follow the curving, paved driveway to this well-appointed 4300 sq. ft. single-level home. 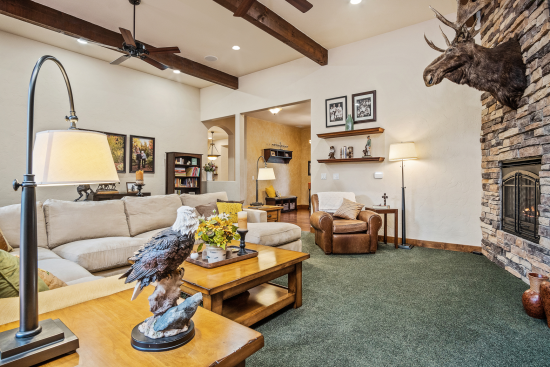 Home features ten-foot ceilings, soaring to majestic 12 feet in the living room. 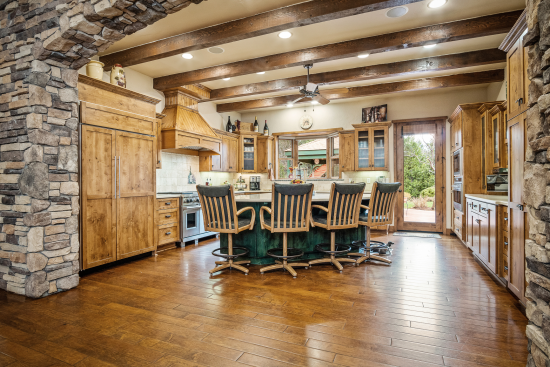 A rock arched entrance leads into a gourmet kitchen designed for entertaining. 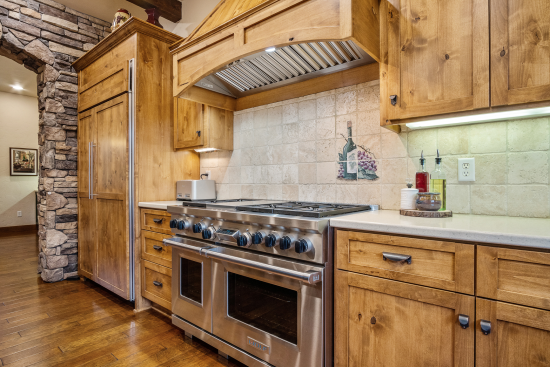 Special features in the kitchen include Wolf six burner stove, griddle, and two ovens, complemented by an additional larger oven, built-in microwave and dual dishwashers. The kitchen also includes a large pantry, ample drawers, and counter space. 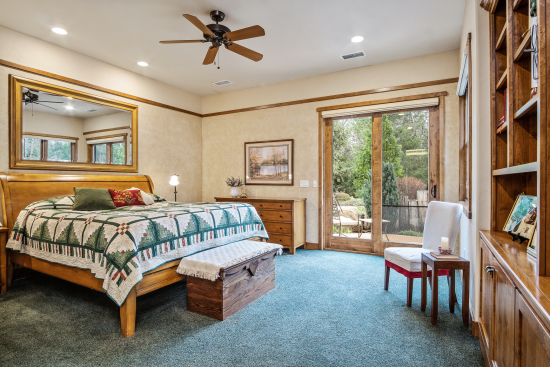 This home has appellation wood floors, shaker cabinets, tastefully carpeted rooms, and eight-foot rustic alder wood doors combine to achieve elegant simplicity. Apartment- Property includes a 1000 sq. ft. 2 bedroom and 1 bath apartment that can be used for guests or groundskeeper. Shop - Finished and heated shop building with a 10 foot rollup door, and a 12 foot rollup door. The shop is wired for welding and compressors. Adjoining the shop is a 20 foot by 40 foot equipment shed. 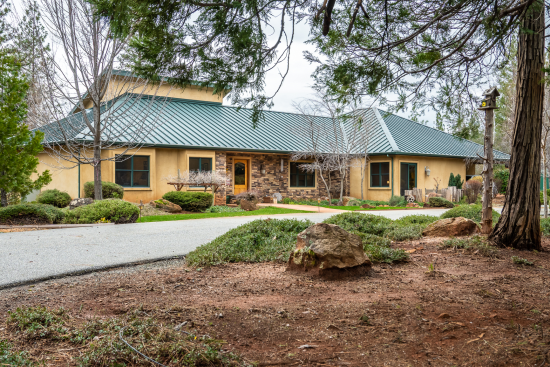 Horse Facility - Horse barn has 4 horse stalls, wash rack, tack room, and restroom. The barn has space for storing feed and additional equipment. Alongside the barn is a storage shed with power for RV storage. Near the barn is an area used as an exercise arena and is connected to trails on the property. Plenty of space for a large arena. Property includes miles of its own trails, plus access to other trails leading to breathtaking views and to Rollins Lake.